If you have a new baby, you’re probably wondering what a typical bedtime routine looks like. If you have twins, I am sure you are even more intrigued by how others are surviving. This is my experience of a bedtime routine with twins. However I did understand that establishing a bedtime routine early on was crucial to getting more sleep (for me and the babies). I personally love routine. It makes me feel like I have some idea of what I’m doing. So I was happy to start introducing this into our day. Our babies have their last bottle of the day (we feed and then bath them so that they do not associate needing to be fed in order to get to sleep). Once the twins have finished having their milk I run the bath (my full post on How to Bathe Twins goes into more detail about how we do this with two babies) and then get out all of the items I will need and set it out ready on the changing top. This includes: two sleep suits, two vests, nappy changing items, coconut oil/lotion and a towel (I use one towel between the two of them…they each only use up half a towel as they’re still quite small). How to bathe twins on your own: Preparation is vital! Before I bathe the babies I always make sure I have laid out all of the things I will need so that I am ready. Two sleep suits, two vests, nappy changing items and a towel. Choose one baby (normally the one who seems to be in the happier mood…although at this time of night that’s pretty tricky…) to strap into a baby seat and put them into the bathroom / just outside of the bathroom. I do this to watch over that baby whilst I’m bathing the other one. (Of course you would never leave a baby on its own in the bath, but having the other one near to you helps to keep them calm whilst they’re waiting to be bathed). I also try and set up something to keep this baby entertained, such as propping up a book for them to look at, or placing them in front of the mirror so that they can look at themselves. Bedtime Routine: how to bathe baby twins on your own. I keep one baby entertained whilst I bathe the other baby. Putting them in front of a mirror works rather well! I then take the first baby into the bedroom, take their clothes off, wipe around their nappy area, dispose of their nappy and take them into the bathroom, ready for their bath. I begin by testing the water with my wrist to make sure the water is at the right temperature. I then lower the baby into the baby bath seat (we used a baby bath to begin with as they were so small, but ours have now grown out of it so we use a seat instead) and leave them to settle into the water for about half a minute. At first the babies would just lie there like dead fish, not moving at all. But now they kick their little legs and smile. It’s adorable. Once they have settled into the water, I wipe the baby’s face with a flannel and then pour water over their body and then use a baby soap/body wash to wash their neck, underarms, fingers, Michelin thigh rolls and in between their toes (You would NOT believe how dusty babies get under their necks and in between their fingers and toes. At one point it looked like I had let them play inside the Dyson hoover…oops). Then rinse off. I then move onto washing their hair (or heads in our case…still waiting for the hair to sprout) and really scrub behind their ears…it gets really gross behind there. I have also recently discovered the magic of Lucy Bee Coconut Oil for cradle cap. Francis had a bad case of it, but after coating his scalp with the oil after the bath, it has now almost completely cleared up! Amazing! I then take the baby out of the bath, wrap them up and take them to the nursery where I’ll quickly cover them in lotion or coconut oil, put their sleep suit on and tuck into bed. Once both babies are in their cot I will read them a quick story, say good night to them and leave them to settle down to sleep. It is never too early to start reading to your babies! Such a lovely activity to spend with your little ones as they wind down for bedtime. I love this routine as it helps the babies to settle for bedtime. They will now fall asleep as soon as they get into their cot. At first I followed this routine every day to teach them how to wind down for the night (I know this goes over the bathing recommendations, but I really wanted to get the babies into a bedtime routine. I just made sure I hardly used any soap or lotion to prevent their skin drying out). Because we have been consistent with this, we now only need to bathe the babies every other day and they still continue to settle well. On their non-bathing nights I will still cover the babies in lotion/oil before putting their sleep suits on. I am sure they now associate this smell with bed time. As I have practised this over the last few months, I can now get them both fed, bathed and into bed in just under an hour! What is your bedtime routine like? Having baby twins, a house move and redecorating. Of course I needed something else to keep me busy during my maternity leave… Anyone who knows me and is reading this will laugh and probably mutter ‘typical’, but truth be told, I can’t help keeping busy. I think I might actually be a…workaholic…I don’t mean to make myself so busy but I think it’s the thrill of learning new things. My brain loves new challenges and being on mat leave wasn’t going to change that. Of course raising twins is one of the hardest things I have ever done, but I needed something to keep my brain stimulated during this time too. That’s when I stumbled across blogging. Honestly, before I took the scary leap and signed up to WordPress, I don’t think I had ever read a blog. I didn’t really understand this unknown community but wanted to learn fast. Having twins, I felt like I had so much experience to share. But where to start?? That’s when I stumbled across Aby Moore’s You Baby Me Mummy Blog (you MUST check her out if you haven’t already!). Her fabulous advice and tips have helped me so much. And how do I stay so organised whilst looking after my 5 month old twins? Here’s my secret…. It helps me to stay organised and on track. Do you wonder how to bathe twins by yourself? 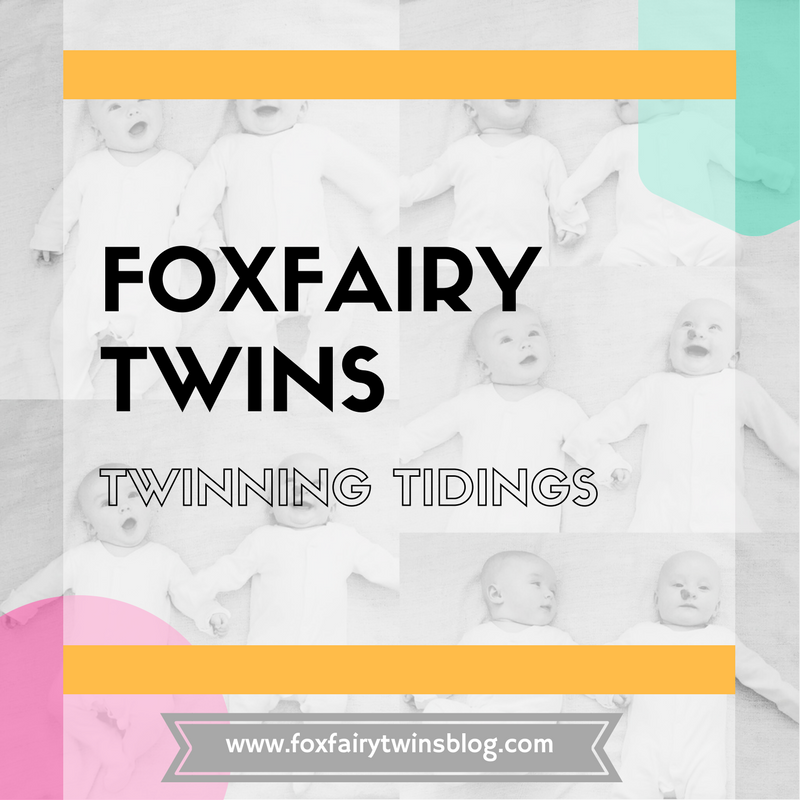 In this post I will share with you the steps I take to survive bathing twins. Pete and I did not start bathing the twins until they were at least three weeks old. We just topped and tailed them at the start as they never seemed to get dirty (how could they? They literally would just lay around all day drinking, pooing and sleeping). We topped and tailed them by using a bowl of warm water and cotton wool and would wipe their little faces, necks and bottoms. Newborn baby’s skin is really delicate so it doesn’t need any soaps to start with too. However as time went on we decided to be brave and go for it. It was finally time to bathe the twins. The thing is, when you’re a twin parent, it is inevitable that you will be abandoned to take on the challenging of bathing two babies…on your own. No this is not a joke. How are you supposed to bathe TWO babies?? And all of you come out of it alive? Before I explain our routine, please let me put in a disclaimer: for most of our bathing nights we are serenaded by one of the twin’s delightful decibels. It’s normally from the baby who is waiting for their turn to have a bath (I try and rotate it…whenever Beatrice will let me…she is such a diva). I am now very used to this and will sometimes even try to sing along to the baby vocals., just to try and keep the babies calm (and me sane). How to bathe twins on your own: I sometimes keep one baby next to me in their baby chair whilst I bathe the other baby. Our babies have their last bottle of the day (we feed and then bath them so that they do not associate needing to be fed in order to get to sleep). Once the twins have finished having their milk I run the bath (make sure you run the cold tap first and then the hot, to avoid the bottom of the bath tub getting heated up by the hot water and then potentially burning your baby’s skin) and then get out all of the items I will need and set it out ready on the changing top. This includes: two sleep suits, two vests, nappy changing items, coconut oil/lotion and a towel (I use one towel between the two of them…they each only use up half a towel as they’re still quite small). How to bathe baby twins on your own: I keep one baby entertained whilst I bathe the other baby. Putting them in front of a mirror works rather well! How to bathe twins on your own: I use bath seat to keep the babies in place whilst I wash them. I then tuck the towel underneath my chin, pick the baby out of the bath, wrap them up and take them to the nursery where I’ll quickly cover them in lotion or coconut oil, put their sleep suit on and tuck into bed. And then guess what? I do it all over again. Deja vu? Do you have any other tips on bathing babies? Share your thoughts in the comments section. Are you a new parent feeling overwhelmed about how to get out of the house with your new bundle of joy? Do you want to know what baby paraphernalia you will need to take with you? Or perhaps you’re parents-to-be and are trying to get your heads around how you would organise yourselves when adventuring out for the day. Well, not to fear as in this post I’m going to share with you my tips on how to pack a baby’s changing bag. Whilst we were in our new born haze and cabin fever reached a peak we finally decided to brave the outdoors (when I say outdoors, I mean go for a 10 minute hobble and then straight back again…the joys of having a C-section). However once I’d built up my strength we decided to actually go out for longer…which would mean feeding the babies too….gulp! Now, any new parent will understand the anxiety that goes with preparing to take a baby out and have to feed and change it. What do I need to pack? Apart from everything?? You have no idea where to start because you don’t actually know what you’ll need. At first I would look like I was preparing for a long haul flight with how much I’d take out with me. Now, after many attempts, I think we’ve finally got our heads around it and can now get our bag ready in under 10 minutes. As we have twins I have to pack double of some items, however the list below can also work for one baby, just take off some of the extras. How to pack a baby changing bag. Do you wonder what items you need to pack into your baby’s changing bag? Follow this list to find out all of the essential items you will need. One flask of boiling water and one flask of cooled boiled water for the formula feed (it was so much easier when I was expressing breast milk as I could just quickly heat it and serve, whereas formula needs a little more preparation…so I was very grateful for this tip from a friend). This way I can make sure the formula powder is mixed with the boiling water first to kill any bacteria, then top up with the cooled water so that it is at drinking temperature (no one wants to wait for a baby’s bottle to cool down whilst they’re decibels perforate one’s eardrums…) so this works well. 4 pots of formula powder. I always take enough for two feeds for the babies, you never know how long you may be out for! I always like to be extra prepared. I am sure that this list will adapt as the babies grow (I am already considering adding calpol and teething gel to this list with all of the tears we have recently had, bless them). What Are Your Essential Baby Changing Bag Items? What do you pack in your baby’s changing bag? Are there some items that I haven’t mentioned that you just could not do without? Let us know in the comments section below!